Learn the basics about jobs, the jobs overview page and the job profile page. Next task: displays the next task in the workflow that needs to be completed. A red “!” icon will appear if the next task is overdue. By default, this list shows all your Active jobs. Active jobs are jobs that are currently in progress. Completed jobs are jobs that have been completed. As the number of jobs increase, you can easily search for jobs by entering keywords in the search box. 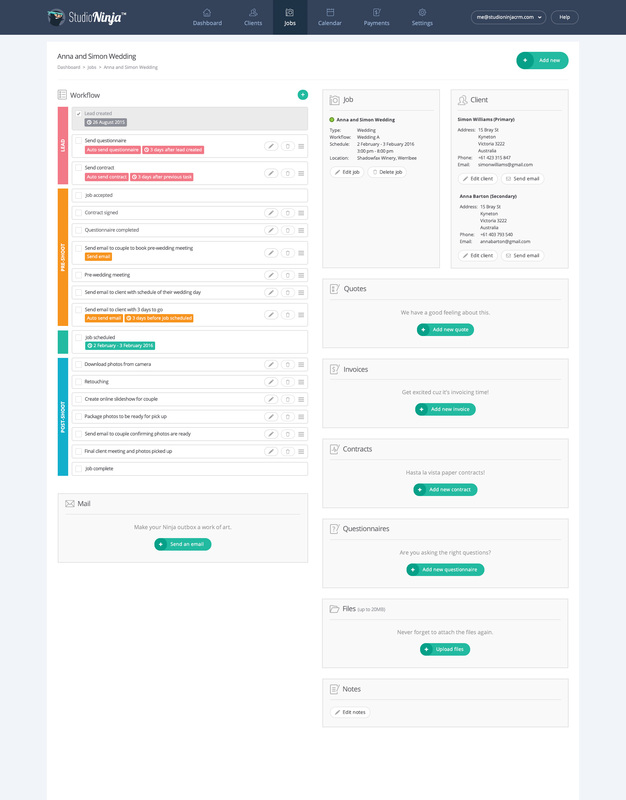 Start typing the name of the job and the list will begin to filter down displaying your search criteria. But as soon as you start working on a job it will quickly start filling up with important information. 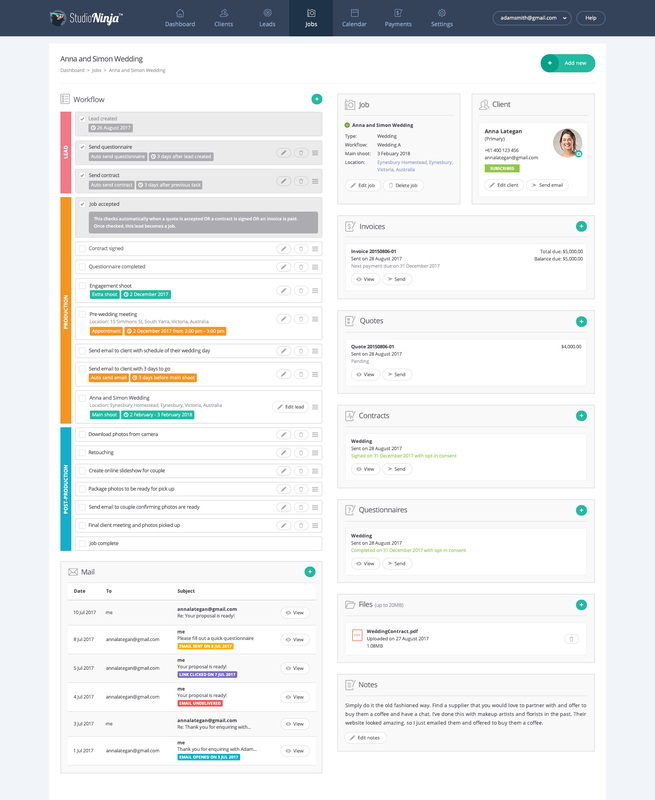 The job profile page stores all the information about a particular job so it's easy for you can keep track of everything stay organised.